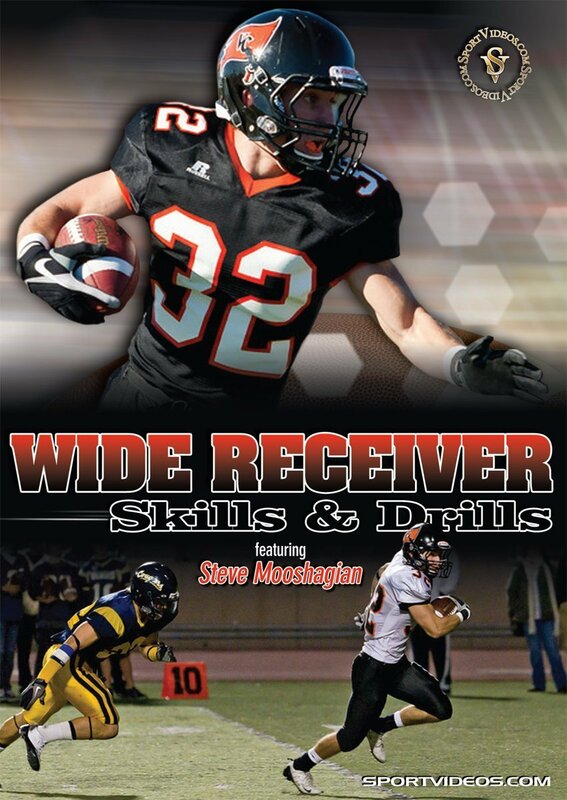 Learn the the techniques and strategies employed by those playing the wide receiver position at the highest level. In this comprehensive DVD, Coach Steve Mooshagian provides several tips, techniques and drills to give coaches and players the tools they need to be successful. Among the topics covered are: stances and starts, escape moves, numerous drills, routes and conversions, and screens. Each area of the game is taught in a very detailed and easy-to-understand manner. This DVD is a great resource for coaches and players at any level of competition. About the Coach: Steve Mooshagian is the head football coach at Ventura College in Ventura, California. For the past 29 years, he has coached at the high school, junior college, college and professional levels. Mooshagian has coached 32 wide receivers that garnered all-conference honors, 15 have received All-American honors and 19 have made NFL rosters. He also spent four years as the wide receiver coach for the Cincinnati Bengals coaching All-Pro's Chad Ochocinco (Johnson) and TJ Houshmandzadeh. Steve Mooshagian is well respected by his peers as one of the top wide receiver coaches in the profession.